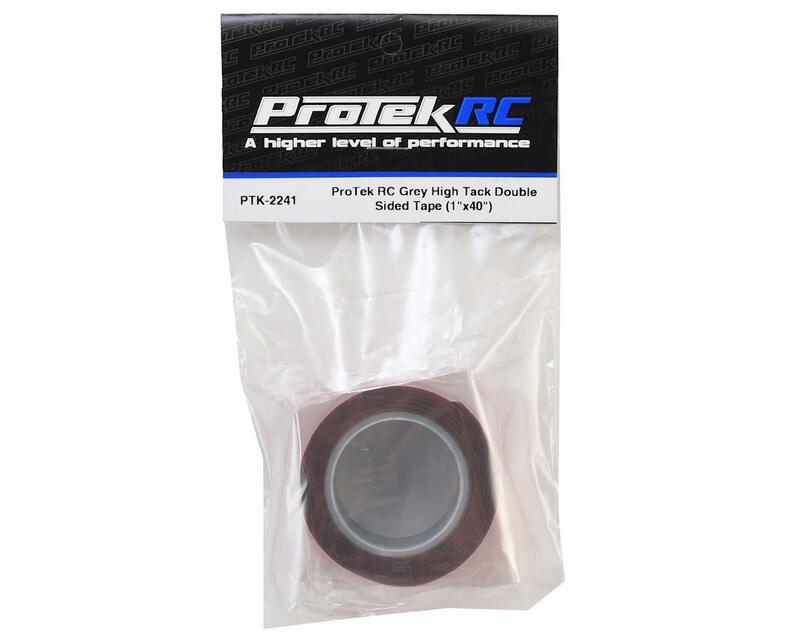 ProTek R/C High Tack Double Sided Tape is a 40" long roll of 1" wide grey double sided tape with an extra aggressive adhesive. 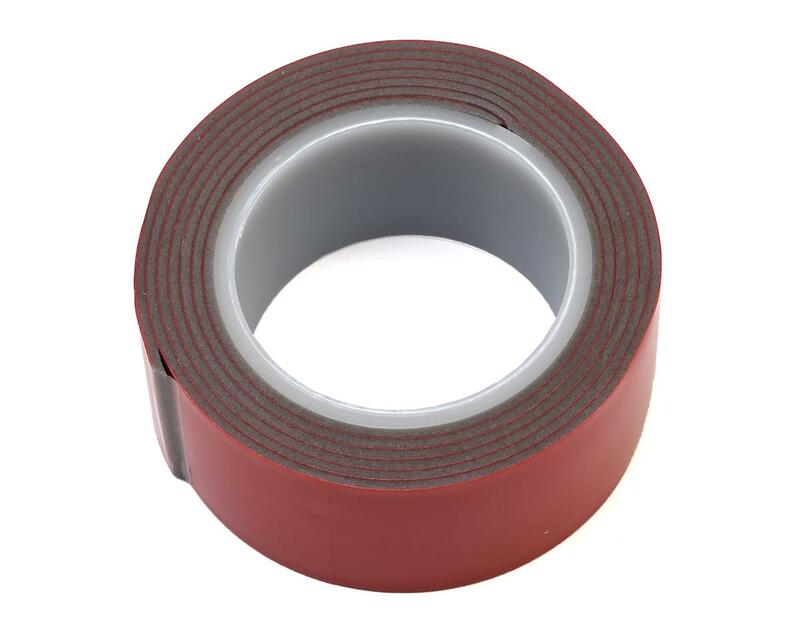 This tape is 1.2mm thick and is perfect for securing receivers, ESC's, transponders and much more. The super tack adhesive on the tape will keep your device securely fastened where you want it, yet the material remains easy to remove and leaves no residue behind. The waterproof, heat resistant properties help it stand up to the elements, and the soft, flexible material will conform to curved or uneven surfaces, and helps to reduce vibration to the component. Junk. Everything I've tried to secure with this tape has popped loose after a few races. The Yokomo servo tape that came with my YZ4 is still holding strong.